Halloween may only be a few hours behind us, but it seems many are already looking forward to the next set of holidays — and Starbucks is no exception. According to a press release, the coffee chain will be decked out for the winter season starting Nov. 2. But it isn't just red aprons and decor. 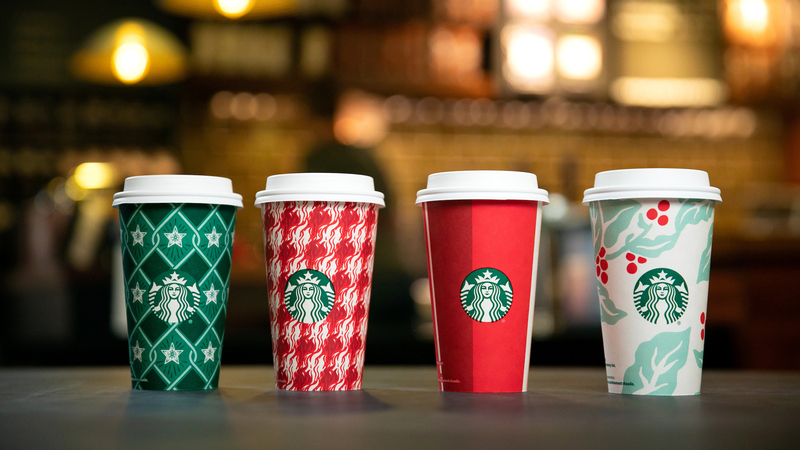 Starbucks will be offering a slew of holiday beverages… and a free reusable cup. But before we get into the cup, let's talk about the drinks. This year, Starbucks will be offering six seasonal specialties: a peppermint mocha latte, a toasted white chocolate mocha, a caramel brûlée latte, a chestnut praline latte, an eggnog latte and (my personal favorite) a gingerbread latte. All the beverages will be available hot, iced or as a Frappuccino. The chain's infamous Christmas Blend will also be making a return. Of course, none of these beverages are new, but according to the press release, there is a good reason. The inspiration for Starbucks’ 2018 treats comes from “the spirit of yesteryear." As for the cups, the reusable red containers will be available while supplies last. All you have to do to obtain one is order a holiday beverage on or after Nov. 2. And bonus: Customers who bring their holiday cup to participating Starbucks locations after 2 p.m. now through Jan. 7 will get $0.50 off their handcrafted grande beverage — which is a real win-win. So, while we're not quite sure we are ready for carols and cold weather, Starbucks' announcement is the sort of holiday cheer we can definitely get behind.